Have your students consider STEM careers! Elevate Science makes STEM relevant and interesting to middle grade students. 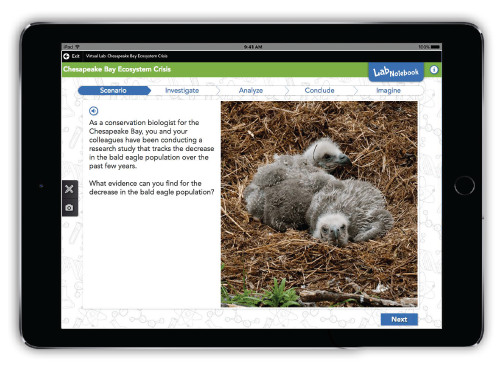 Every topic in Elevate Science connects Science, Technology, Engineering, and Mathematics. Phenomena blended learning experiences use real-world contexts to fuel innovation, problem solving, collaboration, and reasoning—skills needed for future careers. elevate thinking, elevate results. Hands-on, real-world phenomena immerse middle-graders in problem-based STEM activities. Build interest in STEM careers and address all of the new Science Standards! 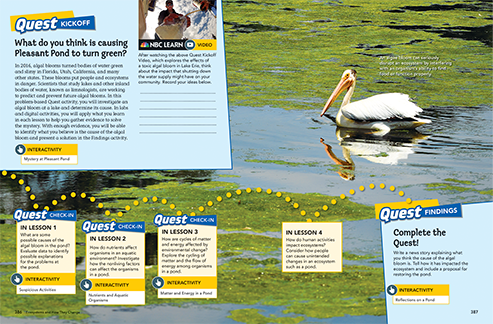 Students use STEM processes and skills to solve the Quest problem in every topic. Prepare students for high school and future STEM careers. 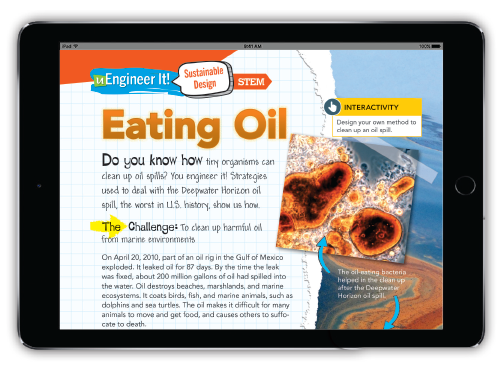 Make STEM interactive and engaging. STEM and Engineering Labs let students problem-solve as they plan, design, build, test and apply core ideas in new contexts. Create a positive framework for STEM careers. STEM Connections focus on solving real-world problems, advancing curiosity and interest. Equipment kits provide materials for hands-on innovations and inventions. Focus on the engineering design process. 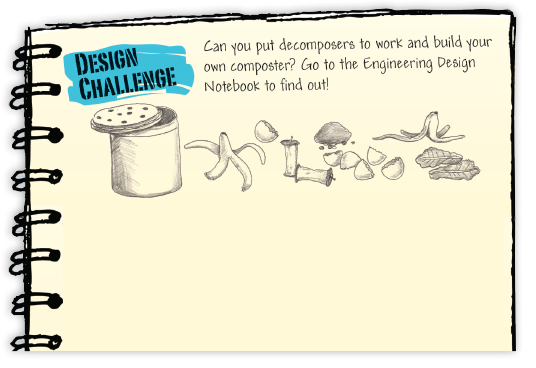 Engineering challenges allow students to ideate, design, prototype, build, and improve their inventions as they think creatively and collaborate with others. Authentic STEM instruction provides flexible Engineering Connections. 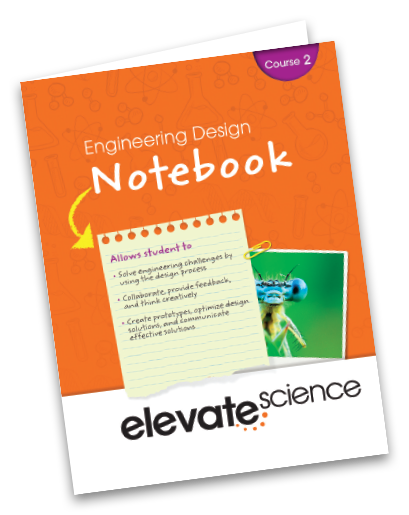 Teachers can integrate the engineering design process throughout the curriculum.